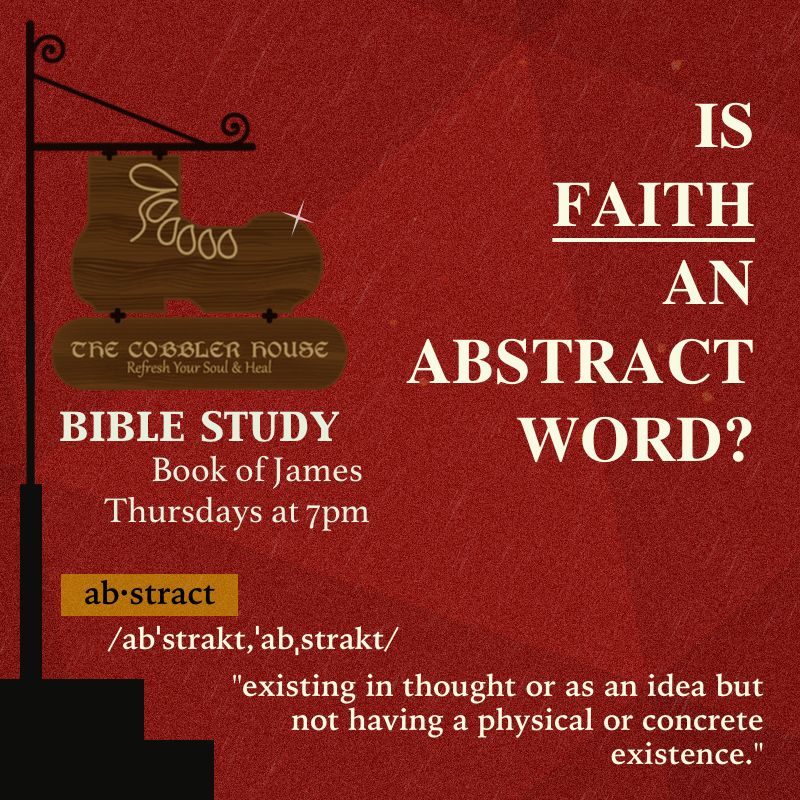 Is Faith An Abstract Word? I have heard it said many times that we are saved by faith alone but a saving faith is never alone. We can trust this is a good and true saying as it lines up with what can be read in the verse above. To believe in God is to act in accordance with His stated will. James goes on to give us two examples of true faith from the Old Testament. The first example that is given is Abraham. Genesis fifteen records that Abraham has faith in God and God credits Abraham with righteousness for that faith. Some years later, Genesis twenty-two records that God calls Abraham to a very difficult task. A task to sacrifice his very own son! Abraham was ready and willing to obey God even in this because of his faith. Abraham had received direct instruction from the LORD and responded with obedience to God’s revealed will. It should be known that he wasn’t obedient because he did not believe God, instead, he was obedient because of his faith in God. The application seems pretty straight forward because, like Abraham, we have received direct instruction from God in the Bible. Would not a professed faith in God bring our actions in line with His word? Of course it should. That is unless we are merely giving God lip service and our faith is really not faith at all. The second example of a living faith is given in the Old Testament example of Rahab found in Joshua chapter 2. Unlike Abraham, there is no record of God giving her direct instruction to follow. Instead, Rahab recounts the testimony she has heard of the great and mighty deeds the living God has done for Israel. By faith Rahab believed that the God of the Israelites is the “God in the heavens above and on the earth beneath,” (Joshua 2:11b). James then tells us that Rahab’s faith was justified in work “when she received the messengers and sent them out by another way,” (James 2:25b). Could Rahab have said that she believed God and then found herself in opposition to His plans? She could have certainly said it but that would not make it true would it? Rahab’s faith was true and as a result she was quick to get on board with what God was doing. Now let me give you a little testimony. Jesus Christ came to save sinners. He is the only way. Do you believe that? I pray that you do because it is true. Jesus says to His disciples, “If anyone would come after me, let him deny himself and take up his cross and follow me,” (Matthew 16:24). Come let us follow Jesus and worship Him with our lives.